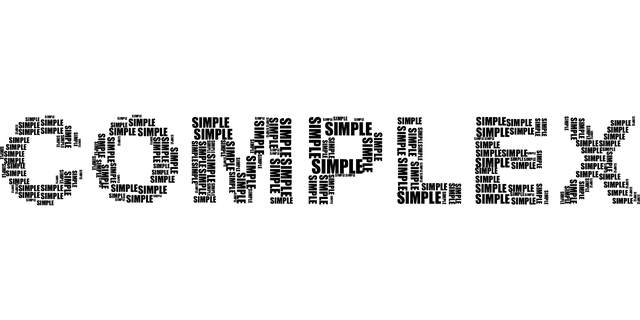 The KISS Principle: Keep It Simple, Stupid! In order to stay competitive and attract buyers, car manufacturers like to push the envelope of performance and efficiency with every new car model. Without a doubt, modern cars are safer, faster and have more features than in the past. There is a problem though. Modern cars have gotten so complex that the next small gain in performance often results in a reduction of reliability. While it isn’t done on purpose (I hope! ), it is unfortunate for used car buyers. Would you like to have a 5-year-old car filled with cutting-edge technology? I can tell you that as someone who’s had over 10 used cars, my answer is a clear “hell no“. Before you answer this question yourself, let me give you a few examples of how technological progress can get in the way of longevity and reliability. Let’s start with dual-clutch transmissions (DCTs). They offer lightning-fast gear changes and efficiency comparable to manual transmissions. They are very light too. However, there are a couple things that you should know before buying a 5-year-old car with a dual-clutch transmission. Firstly, the complexity of dual-clutch transmissions scares me. When things go wrong with a dual-clutch transmission, the solution is often the same – a replacement of the mechatronics unit and a £1000-3000 bill. The mechatronics unit is the control centre in a dual-clutch transmission. It contains the sensors, valves and actuators that control the transmission. Mechatronics units are usually highly integrated and a failure of an individual component, like a £20 sensor, means that you may have to replace the entire unit, which is very expensive. Sometimes, you can have the faulty sensor or other individual part replaced if you can find someone capable of doing it, but it will still be expensive because of the labour involved. Dealerships do not generally repair dual-clutch transmissions if there is a problem of an electrical nature. They will just sell you a new mechatronics unit for a lot of money. One could argue that traditional automatic transmissions with torque converters are also complex. Indeed they are, but the technology is 80 years old (starting from GM’s Hydramatic) and has a good record for reliability and durability. Even if a transmission breaks down, it can usually be repaired locally (actually repaired, not replaced). At least for now. There will probably be a time when even the traditional automatic transmissions will be too complex to consider in second-hand cars. Manual transmissions are already a much safer choice, reliability-wise, in high-mileage cars. Back to dual-clutch transmissions – they don’t have torque converters, so taking off from a standstill is achieved by slipping the clutch, just like in a manual transmission car. For this reason, crawling in traffic can wear out dry clutches quickly because of the slipping. Not everyone knows this and if you already own a car with a DCT, you should adjust your driving habits to minimise creeping in traffic. DCTs with wet clutches are better in this regard. In my opinion, a traditional automatic transmission (slushbox) is smoother and more pleasant to drive within the city, which is what automatic transmissions are all about. Urban, stop-and-go driving is when the majority of gear shifting takes place. So what’s the point of a DCT when a torque converter is better suited for the job? I think that DCTs have their place in performance cars. I can easily understand why a Ferrari or a Porsche would have a dual-clutch transmission. In such cars, milliseconds count when changing gears, and maintenance costs aren’t very important. Lastly, modern slushboxes are catching up in terms of gear change speeds. Hence, dual-clutch transmissions get a thumb down from me. I don’t think they are bad or terribly unreliable. It’s just that they are a high-risk technology in used cars (especially high-mileage ones). The dual-mass flywheel (DMF) is an evolution of the traditional solid flywheel. A solid flywheel is just a disc of solid metal with a flat surface for the clutch to engage against. When not abused, solid flywheels rarely need replacing, unlike dual-mass flywheels. 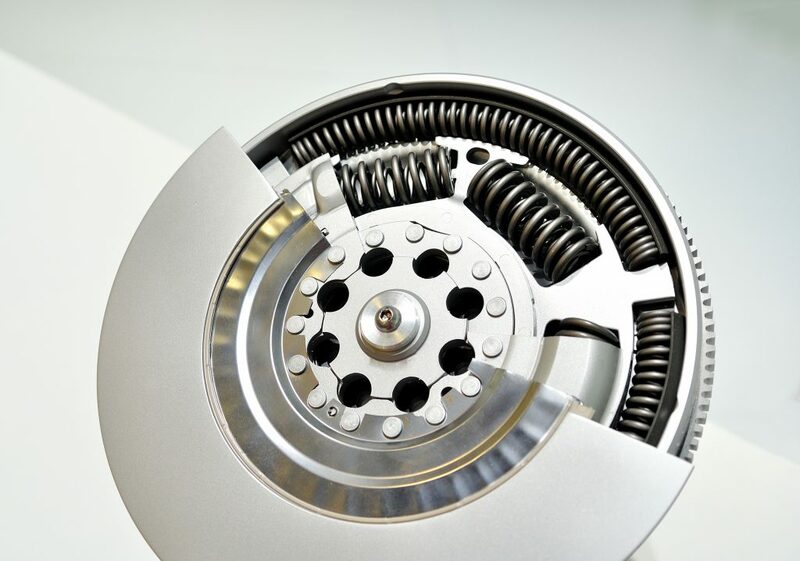 Dual-mass flywheels have a system of springs that smooth out engine’s power delivery (torsional vibrations). By reducing torsional vibrations entering the gearbox, the car becomes quieter and smoother at idle and at low engine revs. 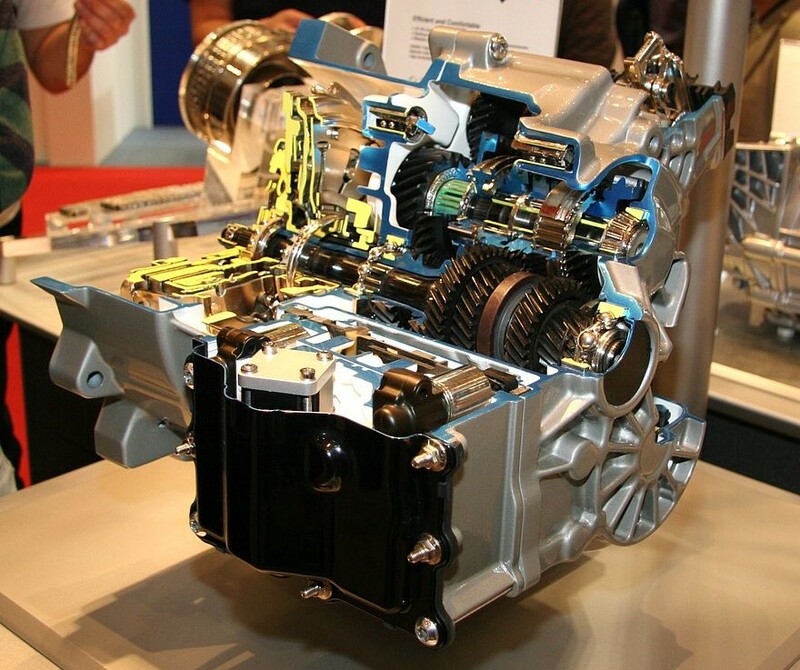 If you’d like a more detailed explanation of the dual-mass flywheel, you will find it in this article about modern diesel cars. The first dual-mass flywheel was used in 1985, but DMFs only became common in the late 1990s. No matter how you slice it, dual-mass flywheels are a questionable innovation, in my opinion. When paired with petrol engines, they offer an improvement in noise and vibrations that’s barely noticeable or not noticeable at all. 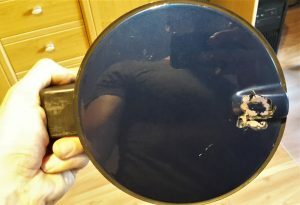 In my opinion, this hardly justifies adding a part that costs £700+ to replace. When paired with diesel engines, they can make a positive difference. However, because of the higher torque, they don’t last too long (not much longer than the clutch). Again, one could argue if their use is justified. I feel that dual-mass flywheels are overused in modern cars. For example, it makes sense for any premium class, 4-cylinder diesel car to have a dual-mass flywheel. Premium cars usually have larger engines and comfort is very important. However, fitting a DMF to a cheap, 1.3-litre diesel town car is an unnecessary complication. It’s a similar story with engines that have more than 4-cylinders. Straight-six and V6 engines are so smooth that I bet you would be hard-pressed to tell the difference with and without a dual-mass flywheel. Anyway, dual-mass flywheels are here to stay, and if the trend continues, we will soon see lawn mowers fitted with dual-mass flywheels. There is the argument that a DMF protects the drivetrain. It’s true that by using a DMF, the torque handling capacity is increased, but the difference isn’t dramatic and it shouldn’t be an excuse for a weak design. It’s easier to slap a DMF on, rather than designing a robust transmission. One could argue that adding a DMF is a great way to make some money by selling replacement units and charging a hefty price for the labour involved in replacing them. As I see it, the dual-mass flywheel could easily win the “Most Overrated Invention Award” (if such existed). Electric water pumps have been a part of the car racing scene for quite a while. When you’re building a 700hp race car and you want the highest performance possible, you can install an electric water pump to free up some horsepower. The idea behind it is that by not driving the water pump from the engine, you can put more horsepower to the wheels. With a traditional belt driven pump, energy is wasted by spinning the pump unnecessarily fast at higher engine revs. With an electric pump, you can control the pump speed independently from the engine and run the pump at an optimal speed in all circumstances. Sounds like a good idea, right? Let me ask you a question then. Do you really want a commuter car that has 1.5% extra power and consumes 0.5% less fuel on average but requires a new £300 water pump every 60 000 miles? Also, some electric pumps have the added feature of occasionally failing completely without a warning. Personally, I prefer a simple impeller-and-two-bearings water pump for £35 that should easily last 100,000 miles and forego the 3 horsepower I might get with the electric pump. Why did some companies decide to replace something so simple and reliable? Is the 1.5% increase in performance worth it? To me, it isn’t. Okay, electric water pumps have one advantage, and it’s their ability to keep pumping coolant when the engine is off. This is great for start-stop systems because it decreases the chance of cooking the engine oil in the turbocharger after an abrupt engine shutdown. By the way, start-stop systems can actually improve your car’s fuel economy even by 5% in city driving, which is more than what many people think. Still, I’m not convinced because I’m not a fan of start-stop systems. This last example is my personal experience. On a sunny summer day, I stopped at a gas station as I was coming back from work. When I tried to open the fuel lid, I found that it would not budge because the actuator that locks it had decided to die on me. As you can imagine, I was pretty annoyed because I had no way of putting fuel in the car, and there wasn’t much left. Defeated, I went home. After analyzing the locking mechanism thoroughly, I decided to put my engineering skills to use, and I drilled the stupid fuel flap out. You are probably thinking that I’m a ham-fisted gorilla. I really did try to open it in various ways – using a magnet, resetting the locks, removing boot trim to gain access, removing the rear light and even taking off the rear wheel and wheel arch liner. In the end, I came to the conclusion that the only way to open a stuck fuel flap in a Vauxhall Astra TwinTop is to remove the rear bumper. I figured that drilling the flap out would be less of a hassle. I really needed to feed my car at that point. The fuel flaps are the same in all Astra H models, so on the same day, I managed to buy a used replacement flap online for £15 and a brand new fuel flap actuator for £35. I got both parts fitted a couple days later and never had any problems since. All in all, I must have spent about 4 hours dealing with the fuel flap situation – trying to gain access to the lock (unsuccessfully), decoding the VIN number to figure out my car’s paint code, finding a replacement fuel flap in good condition, carefully removing the old flap, finding the right actuator model and finally fitting the new parts. The total cost was £50 + 4 hours of my life. However, if this happened to someone without any DIY skills, it could potentially cost a lot more. I have nothing against locking fuel lids, but when mine failed I was having second thoughts (along the lines of “what a piece of s***”). Some cars don’t use an electric locking mechanism and have a simple locking fuel cap that you open with your key instead. As usual, this simpler solution is more reliable. Have you ever heard of Murphy’s law? As an engineer, I can tell you that designing a product is all about compromise. It’s a balancing act between function, reliability and cost. Whatever the end product though, it will be presented as the next best thing by the people in marketing. I will give you an example. It’s purely hypothetical, but I think that it shows my point well. Imagine that you are a design engineer choosing a turbocharger for a diesel car. Before we continue, let me know in the comments section which one you would choose based on the information provided. Seriously, I’m curious. Okay, let’s continue. Because of the lower cost and favourable engine response, I feel that option one would win. A saving of £25 may not look like much, but make such decisions 50 times when designing a full car and you’ve improved your profit margins noticeably. The sales pitch for a car with the little turbocharger would say something along the lines of “effortless performance at low engine speeds” and that the car has “instant throttle response”. What the salespeople would not tell you (and they probably wouldn’t know) is that the little turbo operates under a lot of stress. Because of this, its lifespan would be noticeably shorter as compared to the bigger turbocharger. The bigger turbo would last longer and handle abuse better because of lower stress and lower operating temperatures. Things like shutting the car down before letting the turbo cool down, “long-life” servicing and using poor quality engine oils would have a noticeable impact on the life expectancy of the smaller turbo. Whereas the larger one would be more tolerant to such things. But who cares, right? It doesn’t matter if the turbo lasts only 80k miles – most people don’t keep their new vehicles for so long anyway. Manufacturers will try to sell you the idea that you can have the power of a 3-litre V6 and the fuel consumption of a 1.6-litre engine if you buy their latest, twin-charged, direct injection, plug-in hybrid with an 11-speed, triple clutch transmission (yes, such a transmission exists). What they won’t tell you is that if anything goes wrong with this extremely sophisticated drivetrain, you will negate any fuel savings of the last 3 years by paying for a single repair bill. Or that the car is so complex that it doesn’t make any financial sense to keep it on the road after 100,000 miles. And that’s great news for car manufacturers – more cars to be sold! This is what being on the “cutting edge” means. Would you like to have a 5-year old car filled with cutting-edge technology? Would you rather have a car that gets 35 mpg and costs £200 to service yearly or a car that gets 40 mpg and costs £1000 per year to maintain? These numbers are off the top of my head and perhaps exaggerated (or maybe not, I cannot tell anymore). In my opinion, the race for the last drops of extra efficiency often results in a sacrifice of reliability. Getting more power out of an engine has never been a problem. Even some of the 1950s cars had over 300hp. The solution for more power is usually simple – a bigger engine or more boost (or both). It is the obsession with fuel economy and emissions that is the problem here. Piston engines have been used in cars for over a century. We’ve made pretty much all the reasonable improvements to make them more efficient. 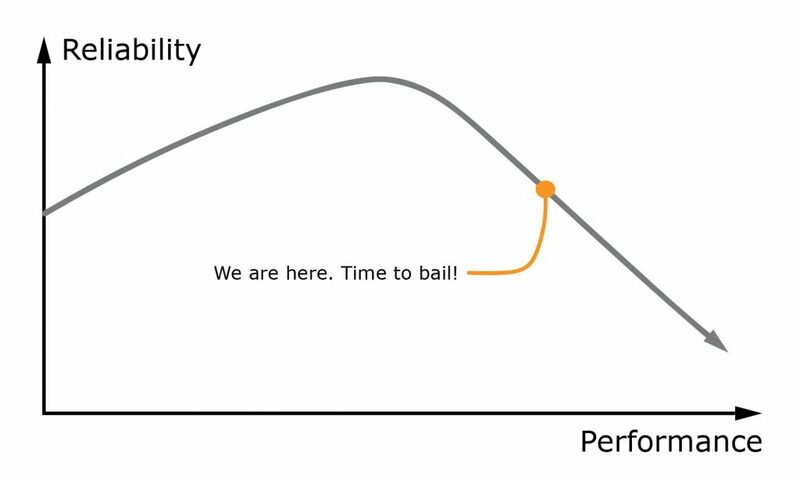 It seems that every next small bit of performance requires a sacrifice of a bigger chunk of simplicity and reliability. When a technology reaches maturity, trying to improve performance further is bound to require some sacrifices. Since there isn’t much that can be improved, if you want to increase one parameter, another has to be decreased. It becomes a zero-sum game. Remember that design is all about compromise. Do you really think you can have an economical and reliable 1.6-litre engine with the power of a 3-litre engine? If you want this kind of performance, I think it’s time to look beyond petrol, diesel and piston engines. Electric cars are coming and I really hope that they will be like a reset button to the increasing complexity. Electric cars use brushless motors that have three moving parts (rotor and two bearings) and can be up to 95% efficient. They generate high torque from standstill, so you can skip the gearbox and the clutch. Add an electronic motor controller and a battery pack and there you have it – an electric vehicle that is quieter, smoother, more efficient, more powerful and far less complex than a fossil fuel powered car. The only thing that has prevented electric cars from taking over is the cost of batteries and their relatively low capacity (for now). Since electric cars don’t have a piston engine, which alone consists of hundreds of parts, they also don’t need a fuel injection system, an exhaust system, nor a complex cooling system. 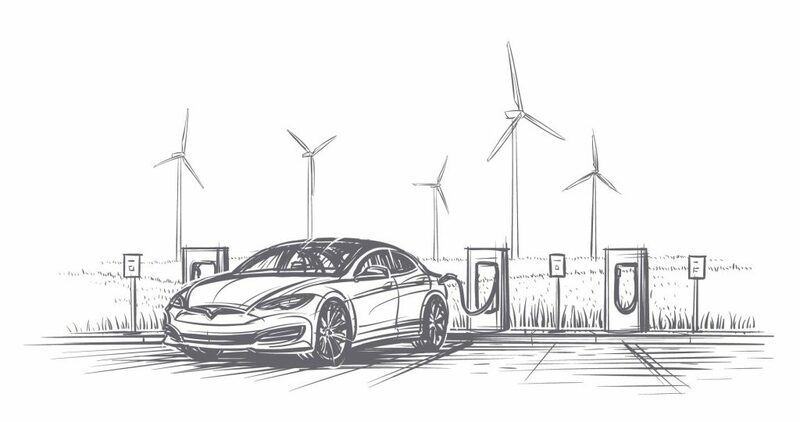 When electric cars finally come, you’ll be able to forget about dual-mass flywheels, diesel particulate filters, swirl flaps, broken timing belts and blown head gaskets… Like it was all just a bad dream. Increasing the complexity beyond what is reasonable in mass-produced cars is what makes them unreliable when they reach a certain age. Things wear, and at some point all the extra parts and gizmos will need replacing. Nothing is forever (except diamonds). What is reasonable in a £2,500,000 Bugatti Chiron (quad-turbo W16 engine = perfectly reasonable) may not be reasonable in a Volkswagen Golf. Do you agree that cars are becoming too complex, or do you think that I’m a grumpy dinosaur that hates progress? Staggered wheels, sports suspension, one horsepower! Also, stay tuned for an article about electric cars. Copyright © 2019 Still Running Strong. All rights reserved.